Your company BRAND is more than just a logo or tagline. It’s who you are. It’s your vision, mission and (to quote Simon Sinek) the reason “WHY” your company exists. 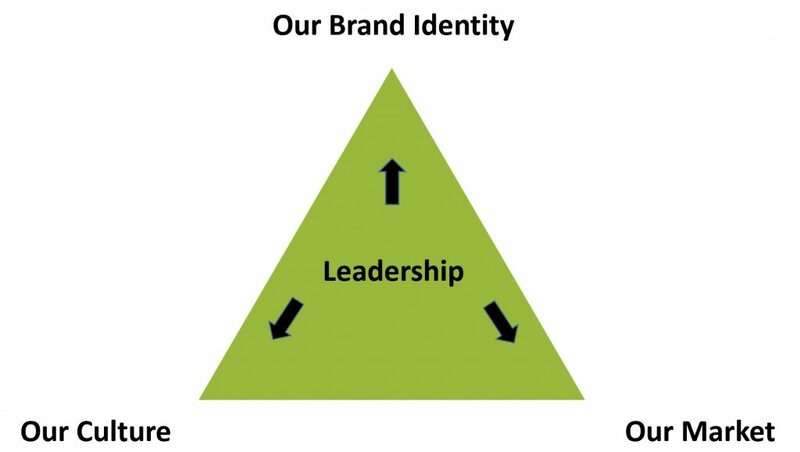 If you and your leadership team are not together on identifying the BRAND IDENTITY, you’ve got some work to do. No one follows a rudderless ship. In the same way, your business will flounder if you don’t have a defined identity and reason for existing. Every company has a CULTURE. Not every company has a healthy and productive CULTURE. Every day there is more research to show that those companies that are proactively building a healthy culture are seeing exponential results. Creating a healthy CULTURE is more than just programmatic. Healthy cultures are the result of a leadership team that is proactive in coaching, mentoring and training everyone in the organization to be all they can be. Healthy cultures happen when leaders become “others focused” versus “self focused”. In my work as a business coach, I often ask two fundamental questions with regard to my clients’ customers: 1) Who is your primary customer? and 2) What do they value most? What amazes me is how many leaders either can’t answer the questions, or can’t find agreement on the answers. Successful businesses make it their business to know their MARKET (customer) so they can serve that market effectively. If you can’t articulate who they are and what they need, your market will go from satisfied and growing, to dissatisfied and shrinking. This fourth essential weaves its way through the other three. Successful companies have a leadership team that share the “burden” of keeping the BRAND IDENTITY distinct, growing a healthy CULTURE, and serving their MARKET. Successful leaders don’t do this alone, they do it together. They do it not by edict, but by example. They invite the team in, then challenge them to be better together. So, how are you doing on these Four Essentials? I’ve prepared an assessment tool so you can rate your company or organization in all four areas. You can download it here. Take the assessment, and have your leadership team do the same. Compare results, and then be brave enough to address the areas of need. Feel free to contact me if you need help. My hope is that this exercise will help you move closer to where you can be.